Animetrics has announced the release of a new facial recognition authentication service available on certain mobile phones. The service, called FaceR CredentialME, is available on devices using the Android, Windows Mobile and RIM operating systems on the Sprint 3G or 4G networks and was launched in conjunction with Troy Security Solutions, a mobile products and solutions provider. 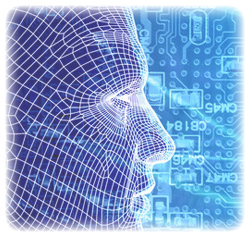 The biometric service allows a user to authenticate their identity via unique characteristics in their face recorded from the phone’s embedded camera for anything such as basic online services or corporate specific services. Further, the biometric authentication can be used to entirely replace standard login methods or layered on top of them as a second factor of authentication. In addition to the service, Animetrics has also released a software development kit for application developers to include face recognition biometrics into their applications.